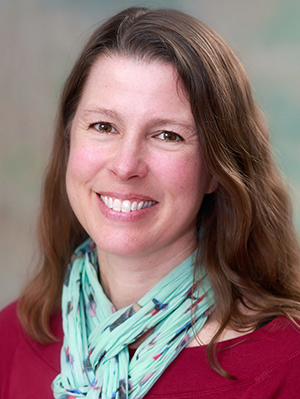 Christine Danner, PhD, has worked in the department of Family Medicine and Community Health at the University of Minnesota since 1998, when she began as the department’s first full-time post-doctoral fellow in behavioral health. She has served as the director of behavioral health for the St. Joseph’s Family Medicine Residency Program since completing her fellowship in 2000. Dr. Danner’s current clinical activities include providing integrated behavioral health services in the primary care setting and teaching family medicine residents about patient centered communication skills and motivational interviewing. Her current passions include pediatric behavioral health integration, obesity prevention and chronic pain management. She has come full circle since her initial training in the Department of Family Medicine and now supervises post-doctoral fellows in Primary Care Behavioral Health. Danner, C., Freeman, K., Friedrichsen, S. & Brandenburg, D. (accepted with minor revisions, planning to submit revisions by March 2019) Health Behaviors and Goal Setting among Karen Youth International Journal of Migration, Health and Social Care. Danner, C. & Freeman, K. (January 2018) Is Pool Therapy Effective in Decreasing Pain Levels in Patients with Fibromyalgia? Evidence Based Practice, 21(1). Ricco, J., Danner, C., Pereira, C. & Philbrick, A. (2017) “The Times They Are A-Changin’”: Knowledge and Perceptions Regarding Medical Cannabis in an Academic Family Medicine Department. PRiMER. Baird, M., Hepworth, J., Myerholtz, L., Reitz, R. & Danner, C. (2017)Fifty Years of Contributions of Behavioral Science in Family Medicine. Family Medicine, 49(4): 297-304. Bass, D., Brandenburg, D. & Danner, C. (2015) The Pocket Psychiatrist: Tools to Enhance Psychiatry Education in Family Medicine, International Journal of Psychiatry and Medicine, 50 (1). Danner, C., Robinson, B., Striepe, M. & Yang Rhodes, P.F. (2007). Running from the Demon: Culturally-Specific Group Therapy for Depressed Hmong Women in a Family Medicine Residency Clinic, Women & Therapy, 30(1/2), 151-176. Kottke T, Wilkinson J, Baechler C, Danner C, Erickson K, O’Connor P, Sanford M, Straub R. Health Care Guideline: Healthy Lifestyles. Institute for Clinical Systems Improvement. Updated January 2016. Invited Oral Presentations at Local and Regional Professional Meetings, Conferences, etc. Presenter, MAFP Spring Refresher (April 13, 2018) “Practical Motivational Interviewing Skills.” St. Paul, MN. Presenter, Department of Family Medicine and Community Health Grand Rounds (September 28, 2016) “Chronic Pain Management: “It’s All In Your Head” and Other Crucial Conversations With Patients In Pain.” Minneapolis, MN.